Multi-GRAMMY® Award-winning artist, songwriter, producer and music icon Kirk Franklin, has crafted another #1 hit with his eleventh studio album, LOSING MY RELIGION (Fo Yo Soul Recordings / RCA Records). Released on November 13th, LOSING MY RELIGION debuts at No. 1 on Billboard’s Current Gospel Chart and Billboard’s Top Christian/Gospel Albums Chart. The album also entered No.10 on Billboard’s Top 200 Albums Chart, according to Nielsen Soundscan. LOSING MY RELIGION marks Franklin’s eleventh consecutive No.1 debut. Continuing with a week of No. 1 wins, lead single “Wanna Be Happy?” tops the Mediabase Gospel radio chart, Billboard.com’s Hot Gospel Songs and Digital Gospel Songs Charts. “Wanna Be Happy?” debuted in late August and broke the record previously set by Franklin with “I Smile (2011)” to become the best first-week digital single in gospel sales history. See links to purchase album after the cut. 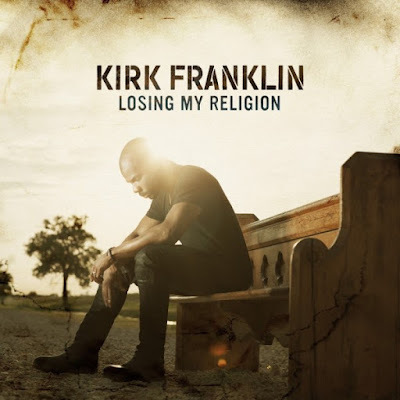 Franklin has been on the road for the release of LOSING MY RELIGION, including a sold-out album release concert at the Greater Allen AME Cathedral of New York on November 13th, and recent television appearances around the country including HLN, NewsOne Now with Roland Martin, PIX11 Morning News, Good Day Atlanta, Good Day DC and more.